The CARE for AIDS center in the Mtongwe community launched in July of 2017. Mtongwe is a slum community in the outskirts of Mombasa Town - the community has a high HIV infection rate which is largely caused by prostitution. The CARE for AIDS center in Mtongwe operates in partnership with Deliverance Church Mtongwe (pictured below) under the leadership of Bishop Michael Onyango and center counselors Gideon Mtuku and Elina Goho. Elina grew up in Mombasa, in a family of 9 people who love to learn new things. She joined CFA in 2017. When asked what motivated her, Elina says, “I have a passion to work with the community, especially people living with HIV/AIDS since one of my family members was infected." She loves to see clients changing physically and to be able to support themselves through the skills that are being taught. Likoni is a community in Mombasa that is considered to be the poorest community in all of Mombasa County. There is a strong Muslim presence in this community, and there is a high rate of crime, intravenous drug use, prostitution, and teen pregnancy— all of which contribute to the unusually high rate of HIV (9.8%). Francis (Mombasa Regional Coordinator) has reported that, due to the rate of HIV and incredibly dense population in this area, the leadership team is considering placing more than once center in this large community over the next few years. 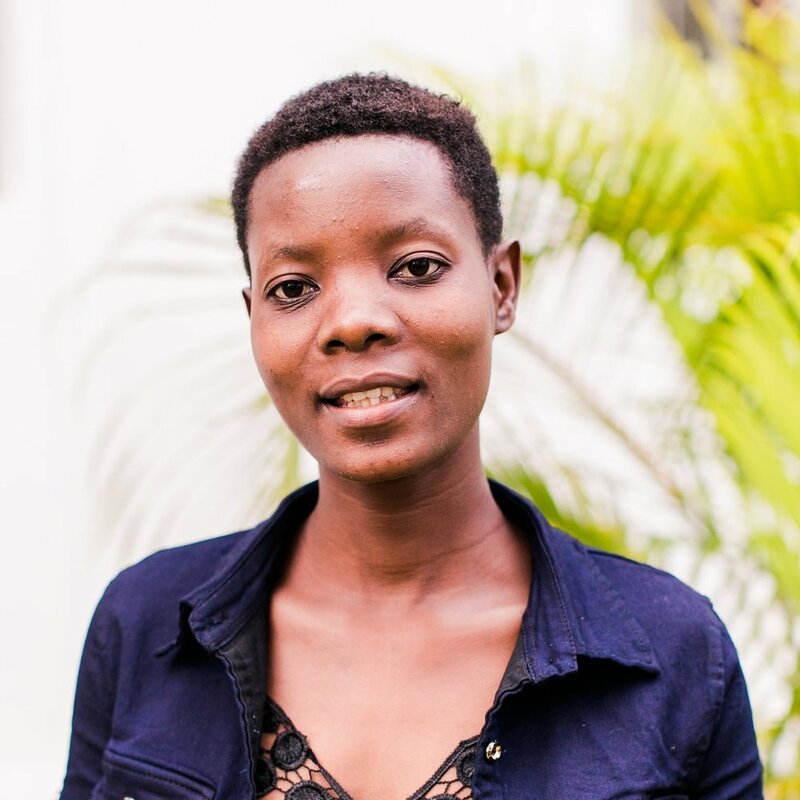 Gladys joined the CARE for AIDS team in August of 2017. This is her first job out of university and she feels right at home. Gladys feels called to serve the HIV+ population and has developed a great relationship with all of the clients in this class. 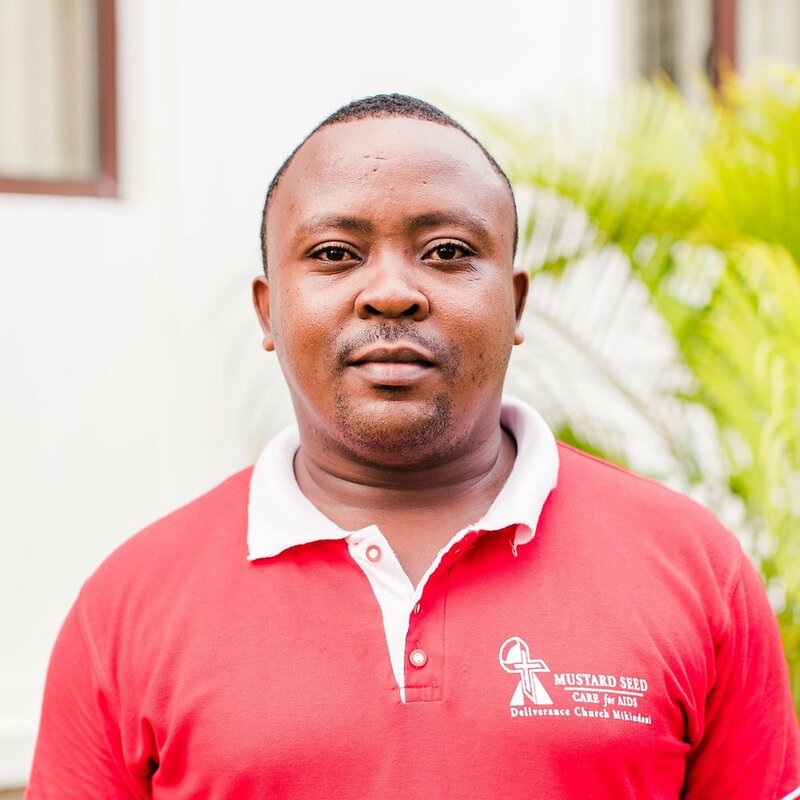 Matthew came on staff with CARE for AIDS in August of 2017 and loves his role at the center in Likoni. Nellie has been disabled since she was 14 years old. She uses crutches to help her walk and cannot get around easily. Her husband and passed away and she is now a single mother caring for two twin girls. Ever since her husband passed, she’s struggled to make ends meet since finding work that she is able to physically do is difficult. 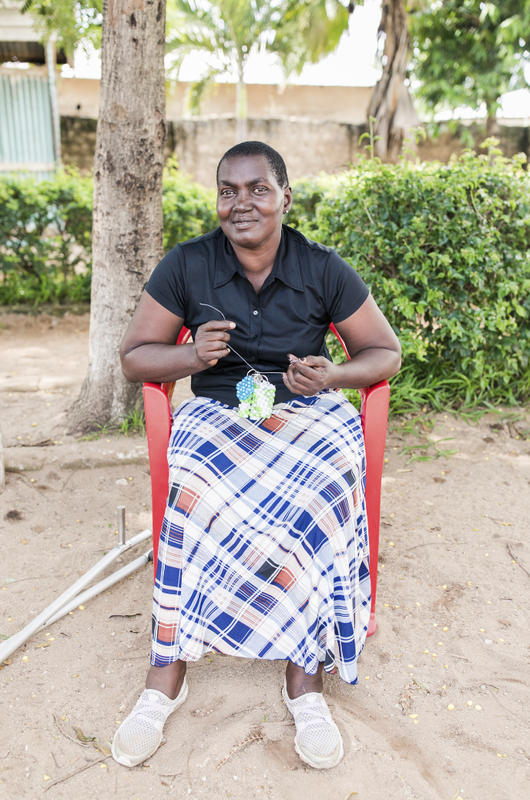 Nellie is a member at the church where CARE for AIDS opened a center in the Likoni community. The pastor announced during service that the program was open to enrollment and for anyone who was HIV positive and interested to talk to him later for more information. Unashamed of her status, Nellie went to the pastor immediately after the service to sign up. The James family traveled to Kenya for the first time in 2018 and fell in love with the CARE for AIDS model of holistic care. We are thrilled to invite our friends to partner with us as we partner with Likoni Center in Mombasa. Mtopanga is a community in Mombasa with a dense population and high infection rate. CARE for AIDS began operations in partnership with the African Inland Church of Mtopanga in October 2016. Douglas is married to Loise and they have two children. In 2015, Douglas joined CFA motivated by a desire to transform lives and to show love to the unlovable. He loves talking about Jesus to show clients there is hope. Esha found out she was HIV-positive when she was pregnant with her last born. She had married young and had a strained relationship with her husband, so she was hesitant to share with him about her status. Esha learned about the CARE for AIDS program through another client and immediately joined. Although it was a risk for her to join a program in a Christian church, she has no regrets- she is less stressed, encouraged, and she has learned how to make liquid soap she can sell to make a living. Abdallah graduated from the program in August and has learned all of the skills necessary to care for himself and his children. " Through the program, I have been able to overcome fear and stigma and now live a happy, healthy and peaceful life." Join us in praying for Abdallah and his family- we are thrilled that the Lord has planted a seed in his life through the program and we are hopeful that he will continue in his faith journey.